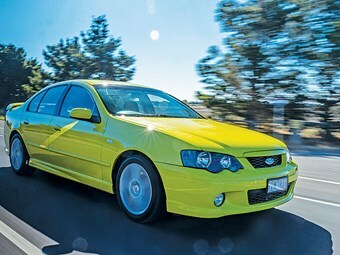 What's it like to own an XR6 turbo? Angelo Loupetis is a long-term car tragic and the designer for Unique Cars magazine. His daily driver is this BA Falcon XR6 Turbo, which he loves - despite the odd niggle with various components like brakes and body electrics. His car features in issue 413 of the magazine, as one of our picks for the next generation of Aussie classics. Here's what he has to say about it.